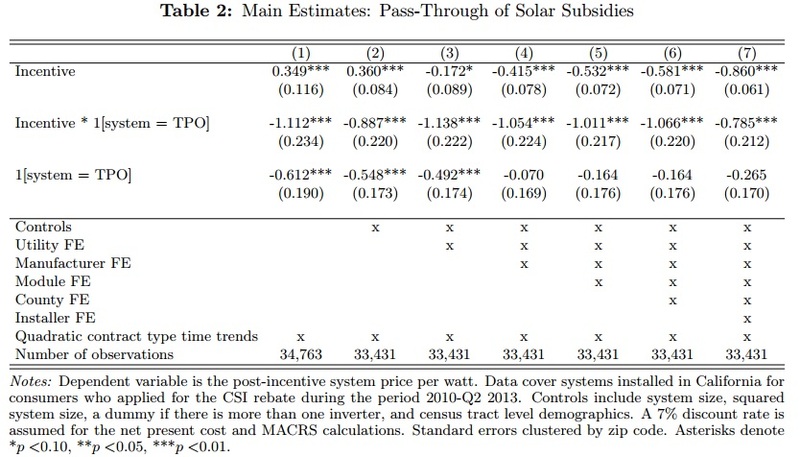 We estimate the pass-through of solar energy subsidies to solar system prices. 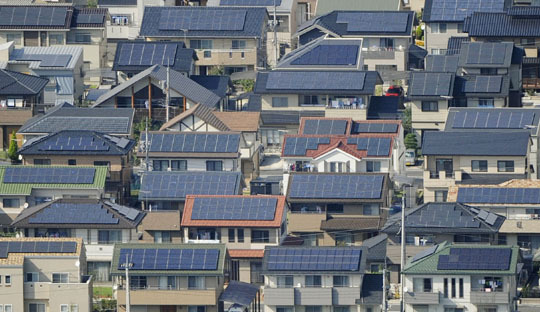 Rich micro-level transaction and subsidy data from California indicate that pass-through is remarkably high and differs substantially for consumers who buy versus lease solar systems. Buyers capture nearly the full subsidy, while there is more-than-complete pass-through to lessees. We formalize pass-through over-shifting as an under-utilized test for market power that can also be applied in other contexts. 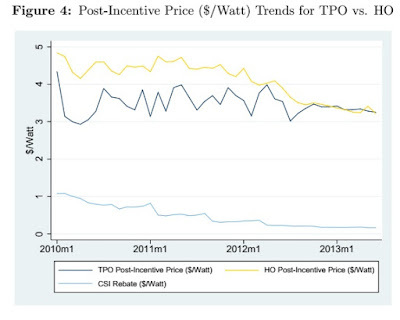 We rule out alternative explanations for over-shifting and conclude that our estimates provide evidence for imperfectly competitive solar markets. Our findings have implications for the distributional effects of energy subsidies. Consumers who buy capture nearly the full subsidy amount|about 86 cents for every dollar increase in subsidies|while there is more-than-complete pass-through to consumers who lease. 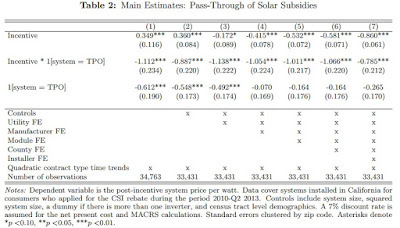 For lessees, our estimates imply that a $1 increase in subsidies translates, on average, into a decrease in solar system prices of $1.65. We thus find that solar subsidies are predominantly (and sometimes even more than fully) passed through to consumers, despite popular claims to the contrary. These results are robust to a variety of sensitivity checks and alternative specifications. 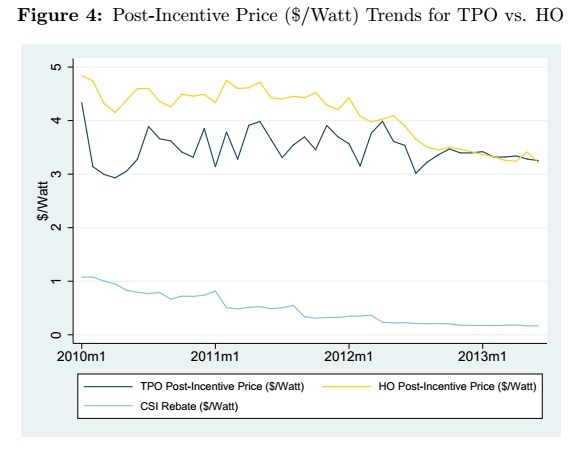 The substantial difference in pass-through is not only interesting to highlight that HO and TPO systems cannot be treated as a single market for solar panels, but also because it suggests that buy and lease markets could differ in other contexts, such as automobiles, planes, and computers. Consequently, future research could focus on how tax incidence differs across the buy and lease segments of such markets.